Why Choose the Surgical Technology Program? Surgery is a delicate process that requires a whole team to function properly. The role of the surgical technologist is to help the procedure go as smoothly and efficiently as possible by anticipating each move the surgeon is going to make. They have to have extensive knowledge about countless surgical procedures, instruments required for the procedure, and the steps the surgeon will take in the operating room. Our Surgical Technology program offers students hands-on training in a combination of classroom, laboratory and clinical settings. The health care field is constantly evolving and maintains a fast pace with a constant need to adapt to patient and surgeon needs and a willingness to learn new things. 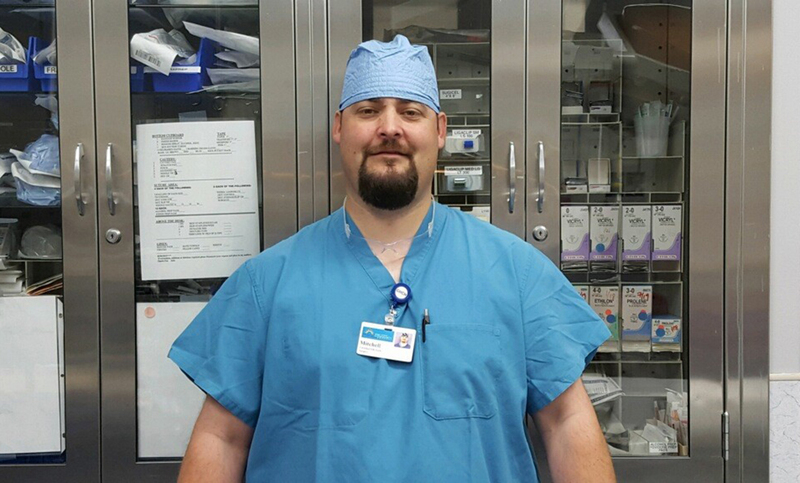 If you want to work in an operation room, surgical technology is a great way to get your foot in the door. Our graduates are educated under the guidelines of the Association of Surgical Technologists. In 2013-14, our graduating students had a CST Exam pass rate of 100%. Demonstrate a safe level of practice and knowledge in their role as a surgical technologist. Acquire an understanding of the ethical, legal, moral, and medical values related to the patient and the operating room team during the perioperative experience. Demonstrate safe practice techniques in regards to perioperative routines, patient transportation, positioning, and emergency procedures. Apply knowledge and skills as a professional surgical technologist to address the biopsychosocial needs of the surgical patient. Perform as a competent entry-level surgical technologist in the cognitive, psychomotor, and effective learning domains. Surgical Technology Program Information Sessions are hosted in Building 21, Room 113, at 3 p.m. on the second and fourth Wednesdays of the month. For more information and a complete schedule of session dates, click here. Many students pursue a degree in a field that interests them, only to discover after entering the workforce that it’s not the career they want. Mitchell Sweet was one of those students when he arrived at Clover Park Technical College in 1999. Clover Park Technical College students, instructors, and staff members gathered in the McGavick Conference Center Wednesday morning for an informative Leadership Luncheon with Madigan Army Medical Center surgical technician Michael Weise. 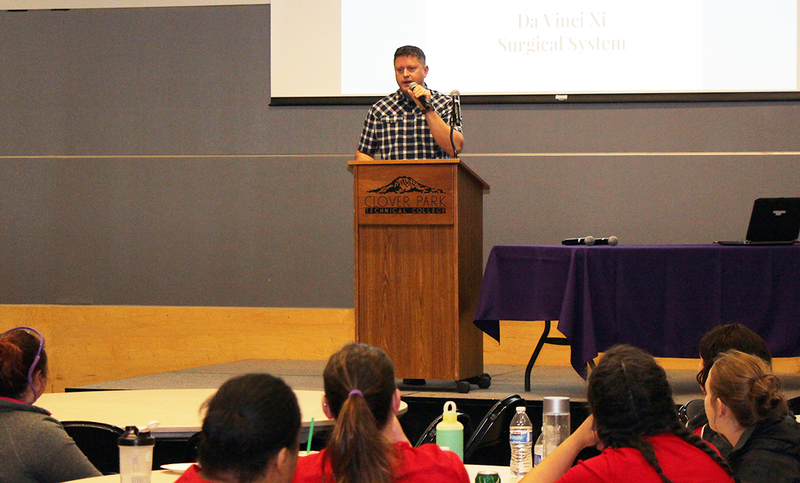 Surgical Technology students had the opportunity to hear from certified professionals and former Clover Park Technical College students at a presentation in the Health Sciences Building on April 17. 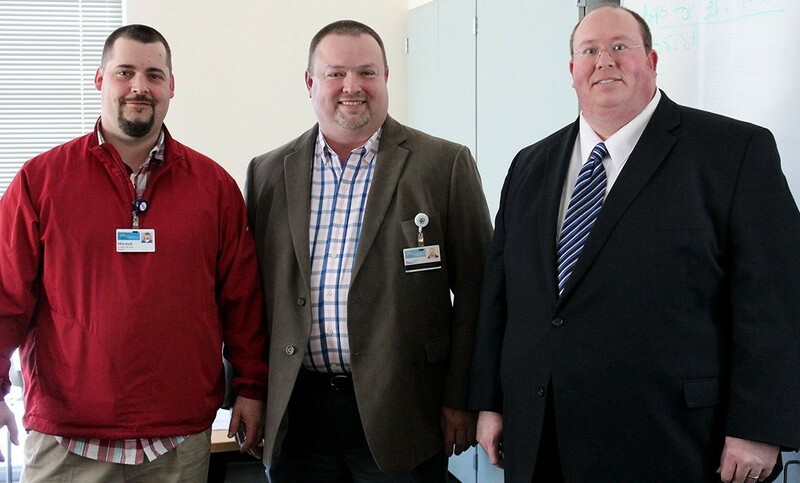 Surgical technologists Mitchell Sweet and Daniel James are graduates of Clover Park Technical College who work at Grays Harbor Community Hospital in Aberdeen.